Searching for a neurologist or neurosurgeon? Specialty centers, clinics, labs and programs. Share the experiences of some of our patients. 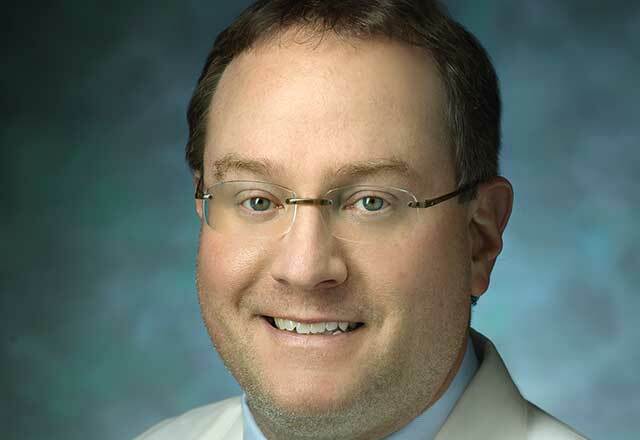 Johns Hopkins Department of Neurosurgery and Suburban Hospital are pleased to welcome new spine surgeon Jared Marks, M.D. Dr. Marks’s clinical focus is spinal surgery, including treatment of degenerative changes in the spine as well as spine tumors, spine infections, spine trauma and spinal deformity. Learn more about neurology research. According to U.S. News & World Report's 2018-19 rankings. Learn more about Johns Hopkins' rankings. At just 47 years old, Amy wasn't expecting a stroke would leave her unable to identify or communicate with her own family members. See how the expertise of Dr. Rafael Llinas helped her get the diagnosis and treatment she needed. Five-year-old Declan had an MRI to monitor a growth hormone deficiency. Afterward, his parents got shocking news: The scan showed Declan had a large craniopharyngioma brain tumor. The family found themselves at the Johns Hopkins Children’s Center, where Declan had brain surgery the next day. Watch neurosurgeon Alan Cohen and the pediatric neurosurgical team discuss how they removed this tumor. Support future discoveries by Johns Hopkins neurologists. Support surgical advancements and discoveries.